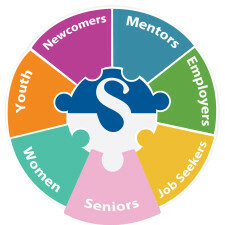 Skills for Change Seniors Community Hub program engaged senior and retired professionals in engaging roles to support their communities. Professionals that were 50+ participated as advisory board members, facilitators and mentors. This program ended in May 2017. The Community Hub hosted workshops, social mentoring, networking sessions and conversational circles open to everyone in the community. Supporting Hub planning through Advisory Committee roles. Workshop training and mentoring other seniors, their families and the wider community. Facilitation of speaker and discussion sessions. Keeping seniors connected to their communities. Raising awareness across various generations on the significance of developing age-friendly communities. Training provided by senior experts in financial planning, communication and networking, health and wellness, entrepreneurship and career advancement. Professional advice, either one-on-one or in groups. Meeting a wide network of professionals with expertise in different fields and industries. 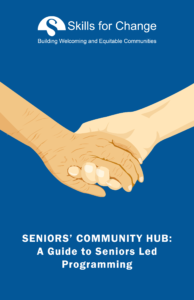 This brief guide provides an overview of the impact and lessons-learned of the Seniors’ Community Hub. Click on the image below to download the PDF file.